There are currently six students enrolled in the Masonry School this year, there are three efficiency apartments that house students from Maine to Texas. The program is designed for the students to develop skills and knowledge in the brick, block and stone masonry fields; trades that provide employment. The students develop skills through lab projects, classroom instruction and community involvement projects. Photo: Sam Frej and Ian James work on the church’s sign planter.There is a great demand for masons in the United States and around the world; these students will be able to use their skills in a variety of work settings. 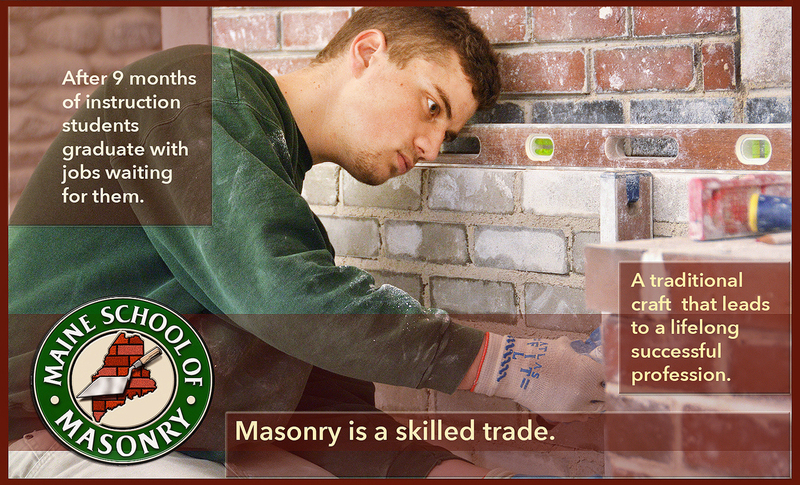 To find out more about the masonry school or courses, visit masonryschool.org. Photo: Cole Jandreau (left), Ian James, Tyler Kachnovich and Karen Freeman work on laying the first few courses for the sign planter.